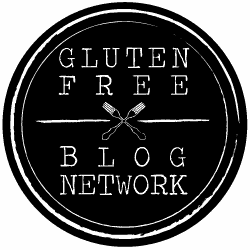 Making a gluten free chocolate mug cake has never been easier! Just 2 ingredients and less than 5 minutes. This post is sponsored by Smith’s and ClickList. As always, all opinions are entirely my own. Thank you for supporting Flippin’ Delicious and the companies I work with. Do you ever feel like you are short on time? Or wish you had an extra hour in the day? 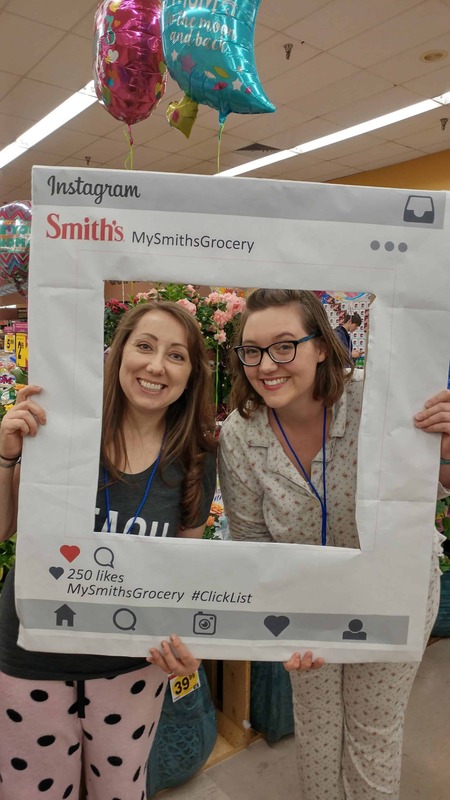 I was very excited when I heard that Smith’s ClickList was coming to my area. I was even more excited when I was invited to attend a media event to learn more. During the media event, I had the opportunity to get a behind the scenes look at ClickList, with some other fabulous bloggers (Emily from Goldilock’s Kitchen posed with me above.) I was impressed with the care that they take to select orders, training employees to pick the perfect veggies and pick products with the latest expiration dates. They have a well-organized system. Cold groceries are stored in a walk-in refrigerator and freezer, spending less time in a cart than if you were to select your groceries yourself. Ordering online is simple and easy. We wore pajamas to the Clicklist media event to celebrate all of the grocery shopping we were going to be doing in our pajamas. That was just what I did later that evening; I filled up my ClickList cart on my phone, lying in bed, in my comfy pj’s. If you have a Smith’s loyalty card, the items you frequently buy will be conveniently listed when you log in. It saved me time, not having to search for our standard items, and helped me to not forget things. If an item you order is out of stock they will substitute a similar item, and give you the cheaper price. When you check out they go over any substitutions with you, before you check out. 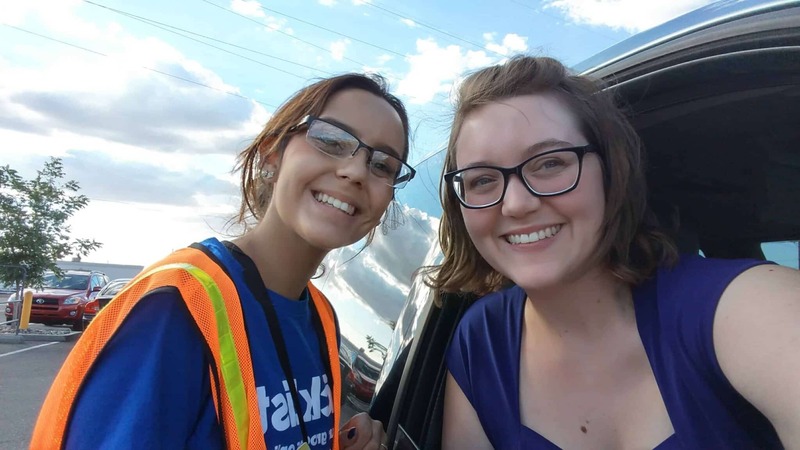 A lot of stores offer same-day pick-up (and all 3 Albuquerque stores do!) I was able to check-out while I was on my lunch break at work and then swing by Smith’s after picking my girls up from school. You just need to place your order at least 4 hours before pick-up. No minimum order amount and your first 3 orders are free. After that, there is a 4.95 service fee. You can pick up your groceries without even getting out of the car! I had the kids sitting in the back seat watching Moana and we got our groceries fight free. I really love the wide selection of gluten-free groceries at Smith’s. 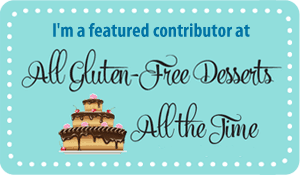 Smith’s Private Selection, Kroger, and Simple Truth brands have a lot of really great gluten-free products. While filling my ClickList cart I made sure to add a Simple Truth Chocolate Cake Mix and my family’s favorite Private Selection Bourbon Barrel Soda. Together they create a moist and fudgy mug cake that I was eating five minutes after we got home from Smith’s. 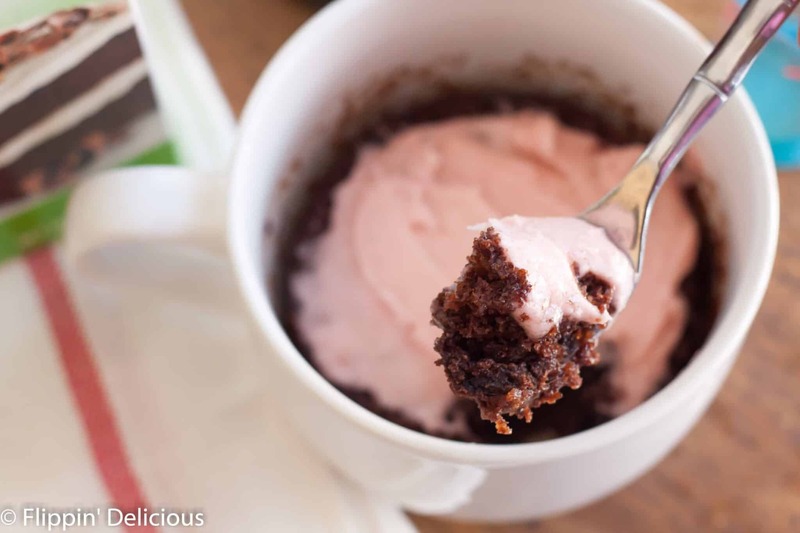 If you are looking for a way to pack a punch of protein in a mug cake, I think you’ll love this Protein Mug Cake from my friend Jacqui at Dishing Delish. 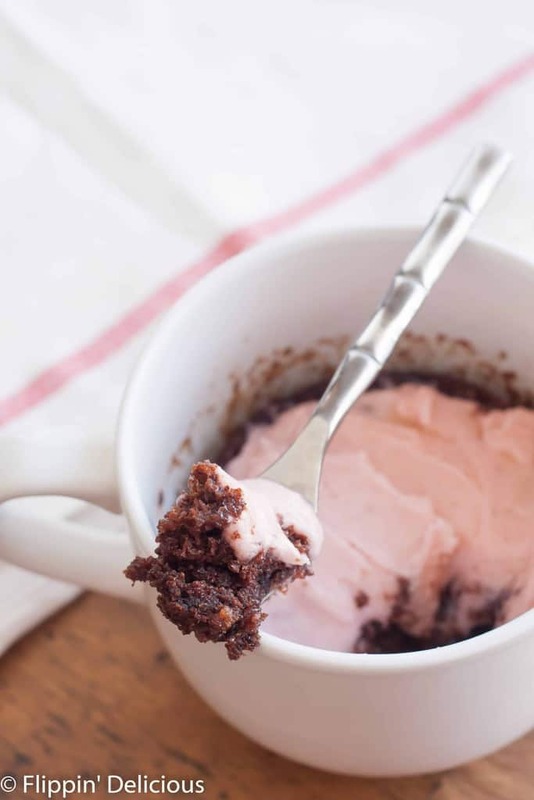 If you need a paleo mug cake, try this Paleo Chocolate Mug Cake recipe. 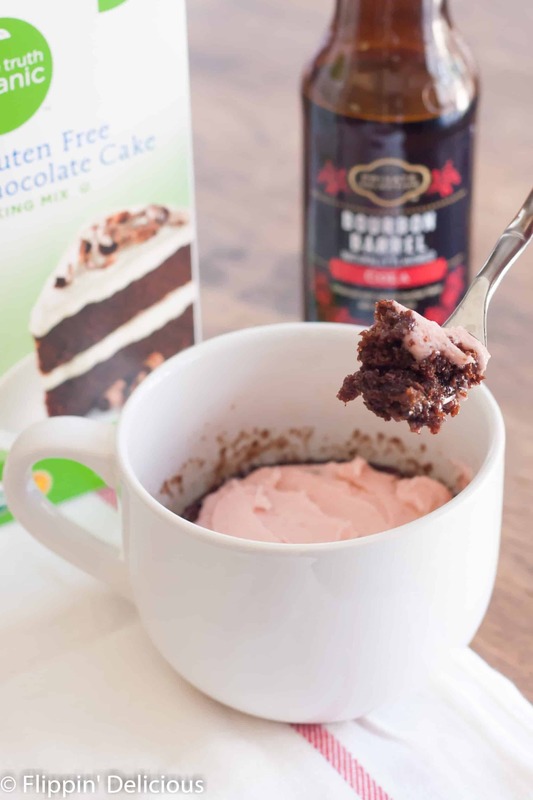 Place the Gluten-Free Chocolate Cake Mix in a microwave safe mug. Whisk in the Bourbon Barrel Cola, until smooth. Microwave for 60 seconds, and then continue to microwave in 30 seconds intervals until the cake is done. Approx 90 seconds total, but it will vary by microwave and mug. Top with frosting, and dig in. Since I was using a big mug, I doubled the gluten-free cake mix and the cola. I microwaved mine for a little longer because I doubled it, 2 minutes total. I live in St Paul MN. I have not seen that kind of cola. What else can I use. Coke or ???. Any cola, soda, or even sparkling water will work. The carbonation helps the cake the rise. This particular soda can be found at stores in the Kroger family. I am happy you enjoyed it, Jenny! Hey thanks for the mention! This mug cake looks delicious, I’m going to give it a try from my hotel room tonight. Perfect GF chocolate fix!! Thanks for sharing. A healthy but simple recipe. I’ll make this for my family. I’m happy you enjoyed this recipe. Enjoy! This recipe will be perfect for the christening of my goddaughter. This gift will surely love by her parents as well as the other godparents. I guarantee that other reader will like it also. The instruction is clear, also it’s nice that you share some brands in the post. Many thanks, I will try this soon.